Are you hooked on hand sanitizers, or your closet is organized in a specific, rigid order that you do not want anyone to mess with? 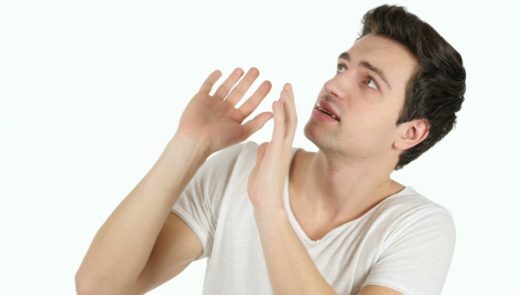 These quirks can be assumed to be down to preference or personality interests, but in certain cases they are indicators of a greater issue that should be treated with more seriousness – OCD, or obsessive compulsive disorder. However, the condition, like many other mental illnesses and conditions, is greatly misunderstood. You can hardly tell when it becomes serious and requires professional help, thanks to the many myths that are abundant on the internet. There is also no specific test that can pinpoint that you have OCD, instead doctors rely on certain behavioral signs to determine the degree. Another thing that makes mental conditions generally risky is that they increase the chances of someone abusing drugs, such as cocaine abuse – as they feel it helps them cope with the negativity and stigmatization of the condition. Here are some of the signs, so that you have a better idea on what to do when you or someone else has it. The causes of OCD are certainfears that the user wants to stay away from, and germs are among the most common fears you get in a person suffering from the condition. This leads to the frequently-observed behavior of frequent hand washing, or using sanitizer too many times. Otherfears that may lead to this include the fear of being impure, or spreading diseases to others. The indicators that it is getting out of hand include constantly thinking about germs even after you wash your hands, you worry that you are not scrubbing your hands well enough, or you start getting irrational fears about diseases, such as getting HIV from shopping carts. In addition, the more elaborate your hand washing routine is, the more warning bells should go off. Apart from those who wash their hands too frequently, there is a category of people who are compulsive cleaners. This may be a way of easing their phobia of impurity or germs. Cleaning is only a temporary solution though, and the person gets an even stronger urge to clean again even when the place is clean. Cleaning your environment by itself does not mean you have OCD, but rather it is the consequence of stopping. If you start becoming very fearful or anxious, then there is a problem. 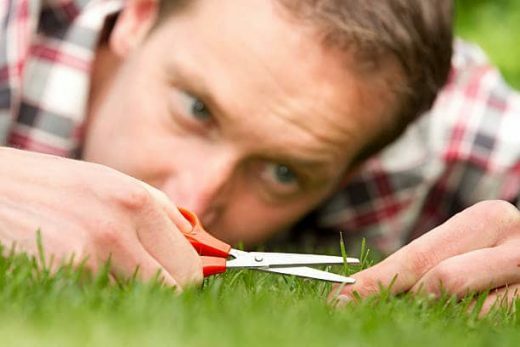 People with OCD tend to be perfectionists as well (though not all perfectionists have OCD). The frequently observed sign of double checking everything becomes irritating though – such as checking your front door 20 times before going to bed to make sure you locked it. It is important to note that this symptom affects about 30 percent of people who have OCD. Similar to other compulsive behaviors, this has its roots in fears of looking irresponsible, or fears of getting hurt. While it is normal to double check things once in a while, you may have OCD if the checking begins to interfere with your daily routine. For instance, getting to work late because you kept returning to your house to check if you turned the stove off. Certain people with the condition tend to do their tasks using a specific number pattern, or they count to themselves when they are doing everyday tasks like cleaning or walking. The behavior may be due to superstitions, or irrational fears of certain numbers – like they will hurt someone or themselves when they fail to do ten tasks at a time. When you should seek help is all dependent on context. If the behavior does not make logical sense, you should seek help. Otherwise, it is normal to use counting as a way of distracting yourself from the mundane details of life. It is one thing to organize your home, closet and everywhere else including your working space, but individuals with OCD take organizing to a new level. Formany of them, everything must be perfect, and every item must be arranged symmetrically, while the number of items must be right. This obsession is mainly due to obsession with symmetry and order. If your motivation to clean up and organize your environment is simply out of preference, then you are okay. However, people with OCD do not just want to organize, they have to. They always feel they must organize, to help them free their minds from anxiety. A common problem OCD patients go through is BDD< or Body Dysmorphic Disorder. This is a condition that manifests as the constant dissatisfaction with certain parts of their body. In fact, it is more than passive dislike – that body part is fixated on, and they deem it as unattractive or abnormal. The body parts that are examined the most are the skin, hair and nose. However, this is unlike eating disorders, since the issue does not lead to changes in diet or focus on their body weight. The obsessive thoughts remain present though, and the patient can also worry too much about the cleanliness of their body or how it looks. While it is a normal thing to dislike certain features of your body, seek help when you find you spend too much time looking in the mirror. This can lead to very low self-confidence, and leads to you avoiding people completely because you perceive that they see your flaws. Individuals with the illness are frequently known to obsessively dissect all their relationships – coworkers, friends, schoolmates, parents, family members, and even romantic partners. For instance, they may often find themselves thinking too much about a disagreement they had with their boss, and thinking it has ruined their working relationship. The mindset leads to a difficulty accepting responsibility for their mistakes, and reflects an exaggerated sense of responsibility. If thoughts like these get stuck in your head for prolonged periods, they can grow and make you feel like you are a bad person for letting them occur. OCD is a more complex mental condition than most people think, and that may be the source of the misconceptions it has. That is why it is important to know the signs, so that you are better at handling them when they happen.